The Cube Basin Mixer offers exceptional performance and attractive looks, all in one affordable package. It boasts a sleek, geometric design and is highly inspired by modern architecture. The result is an ultra-modern, minimalist rectangular basin mixer. The Cube Basin Mixer is designed for simple installation and suitable for standard Australian bathrooms. The ergonomic design makes it highly versatile. 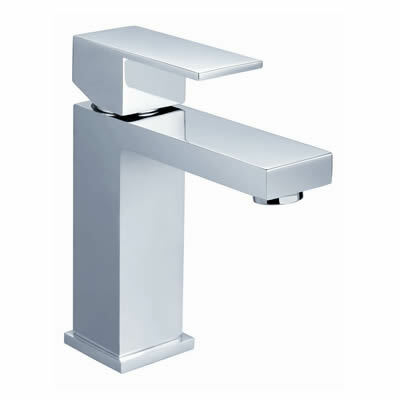 The lever tap is solid and easy to use, while the overall body features solid brass construction. 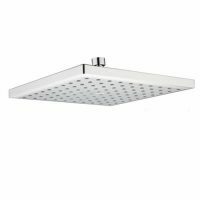 Furthermore, it comes complete with a contemporary chrome finish, which makes it perfect both for bathroom renovations and new installations. The performance is just as impressive as the design. 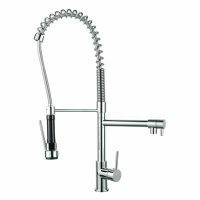 It features a high quality ceramic disc mixer cartridge, which offers accurate control over water temperature and flow. And, it makes use of top grade internal parts – therefore, you can trust this quality product to withstand years of heavy bathroom usage. In fact, it is covered by some impressive manufacturer offered guarantees as well. 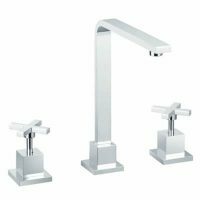 The Cube Basin Mixer is an excellent choice. No wonder it’s a bestseller here at Ross’s Discount Home Centre. Buy this popular bathroom basin at the best possible price from our online store today!